Pack of 12 Mini Pieces with each piece approximately 25-45g. 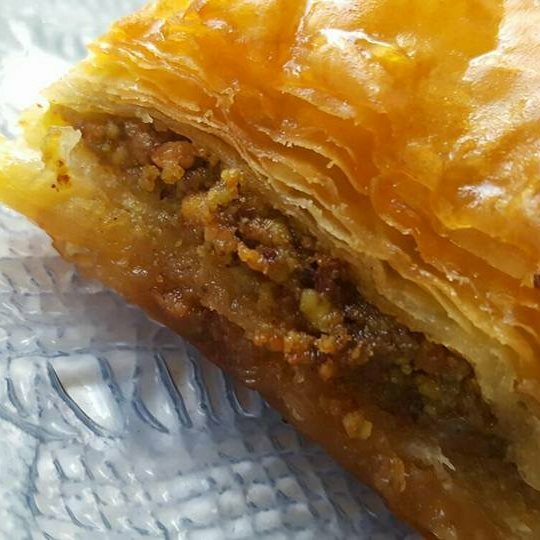 Signature Citrus Syrup delicately binds the layers of filo pastry and nut filling together. For the nut filling you can choose from:PistachioWalnutAlmondHazelnut. Default favour is pistachio. "The History"Baklava is thought to have been developed in the Ottoman kitchens of the Topkapi Palace in İstanbul, Turkey. 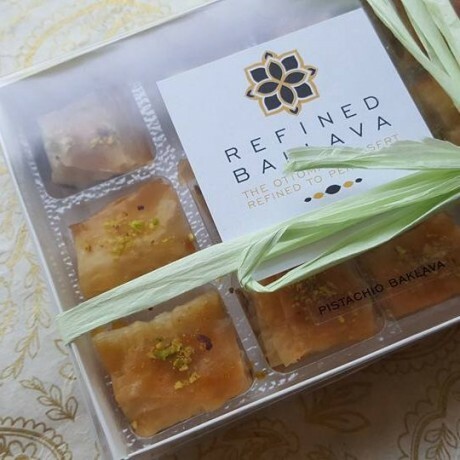 Baklava was often featured at special occasions and was and still is widely regarded as the ultimate decadent treat. 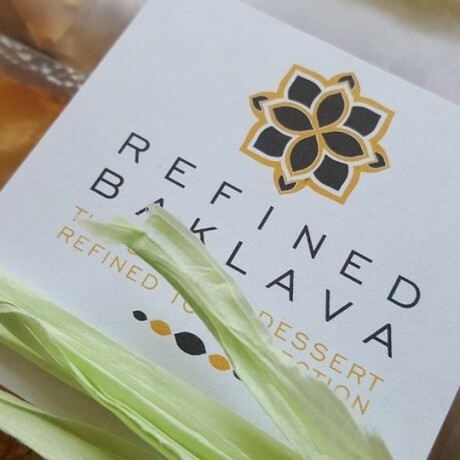 Refined Baklava was established by Zehra, and Baklava has always been a huge part of her life. Having been raised in London by Cypriot parents she would always look forward to special occasions to indulge in some Baklava.The light sweet taste of the fruit from a Mandarin tree on her grandparents farm in Cyprus inspired Refined Baklava's unique citrus syrup.